The Prime Minister used her speech to the CBI this morning to appear to dilute her previous commitment to put workers on company boards. If this is the case, it represents a huge missed opportunity to put in place a different model for British business, which would bring benefits for companies, for working people and for the country as a whole. In many of Europe’s most successful economies, worker representation on company boards is an accepted and valued part of doing business. If introduced in the UK, it could bring significant benefits here too. It is worth recapping the reasons why. Workers’ interests are well-correlated with the long-term success of their company, and their direct experience of working for the company gives them insights and a perspective that the non-executive directors round the table do not have. They are clearly well-placed to contribute to the development of positive employment relationships, on which all companies depend, and it is clear from experience in Europe that bringing the perspective of ordinary workers into the boardroom is particularly valued by other board members. It has been widely recognised, notably in the Davies and Parker reviews, that boardroom diversity contributes to the quality of decision-making by helping to avoid groupthink; and including workers in the boardroom would make a significant contribution to boosting socio-economic diversity in the boardroom, which is much-needed. Again, this is a factor that European experience shows is valued by boards. Research shows that other board members value the contribution that workers make within the boardroom. For example, a survey of business leaders in Sweden found that 60 per cent considered the role of worker board representatives to be positive or very positive, with just seven per cent finding it negative. And 81 per cent described the co-operation between the worker representatives and other board members as good, compared with just four per cent describing it as bad. “This is not about creating German-style binary boards which separate the running of the company from the inputs of shareholders, employees, customers or suppliers. Fortunately, worker representation is entirely compatible with a unitary board structure. Sweden is one of five countries within Europe that combines a unitary board with worker board representation; and in addition, there are a growing number of countries where companies can choose between a unitary and a two-tier board structure and in those countries worker board representation generally applies regardless of the board structure adopted by the company. The TUC shares the Prime Minister’s rejection of the ‘direct appointment’ of workers onto boards (whatever this may mean): worker representatives must be elected by the workforce. This is the way to create a genuine link between the boardroom and the rest of the company, the lack of which has contributed to the UK’s low levels of productivity, as well as the disenchantment shown by much of the British public with the role of the ‘establishment’ and the status quo. “In our experience, the perspectives and input of Employee Directors aids decision making and demonstrates the company’s desire to hear from our workforce. It complements the strong and positive relationship we have with trade unions, rather than being a substitute for normal industrial relations. Let us be clear: an advisory council or panel is not ‘[an]other route’ to worker board representation; it is an entirely different proposal and it is disingenuous to suggest otherwise. When the government’s proposals for implementing the Prime Minister’s commitment to put workers on company boards come out, there are three key tests by which the TUC will judge them. Will worker board representatives be members of the workforce and elected by the workforce? Suggestions that others could be nominated to speak on behalf of workers within the boardroom are not only patronising, but in addition they will not bring the benefits that worker board representation can deliver. 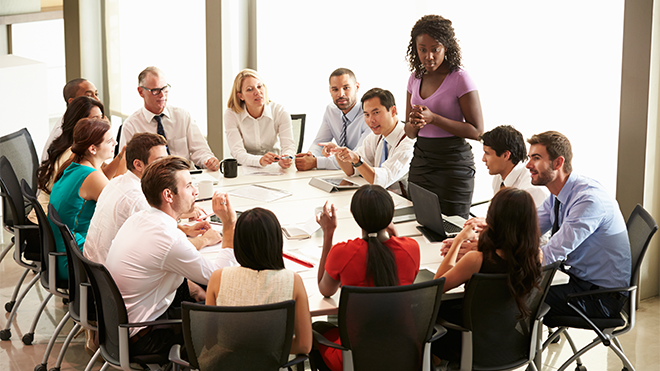 Worker board representation must mean what is says – members of the workforce elected by the workforce to sit as directors on company boards, sharing the same fiduciary duties as other board members. Workers on boards is not the same as even a pale immitation of workers’ control. Often workers on boards of directores simply become co-opted as psudo bosses and put the needs of the company (profitability) first before defending workers’ rights. Thanks for a very clear aand informative rticle. Let’s hope Labour pushes for workers on the board and makes it part of their industrial strategy. It is worrying that Clive Lewis, Labour’s Shadow Secretary of State for Business, Energy and Industrial Strategy, did not mention it in his recent speech to the Royal Society of Chemistry. Martin D is right. Labour also needs to work with the trades unions to persuade them of the need to engage with this. Workers on the board has worked well across a range of European countries, notably Germany. It has not made German unions any less tough in fighting for their members’ interests but has made them better informed and more savvy. The idea that workers on the board emasculates workers and unions is a myth that needs to be tackled. If Labour does nothing, Theresa May gets a free ride on this issue.